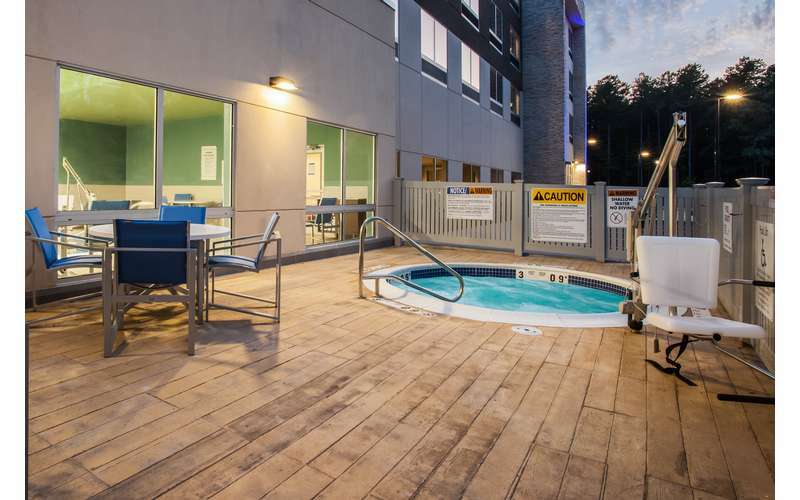 Fresh, clean, and stress-free lodging between Lake George and Saratoga Springs! 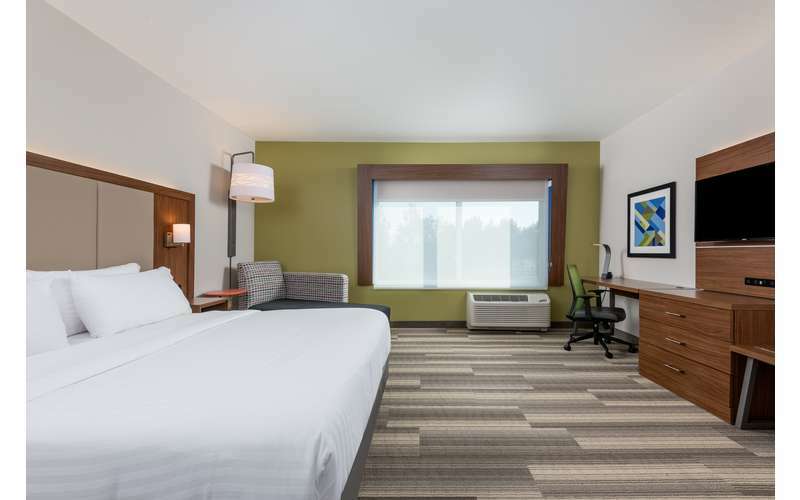 Located right at the base of the Adirondacks, the modern Holiday Inn Express & Suites Queensbury - Lake George has been designed to help you relax, refresh, and even get a little work done in comfortable accommodations. It's smart, simple travel! 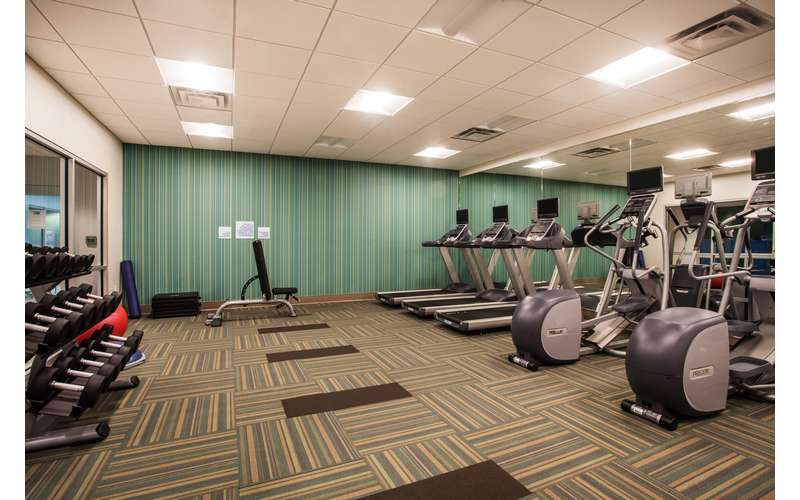 Whether you're visiting the Glens Falls area for work or play, Holiday Inn Express & Suites Queensbury - Lake George has everything you need to stay active and leave feeling refreshed. 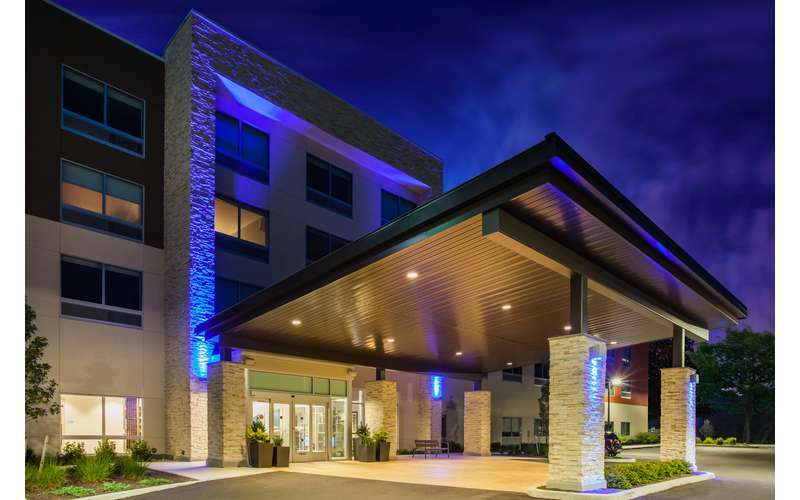 The hotel features an indoor heated pool, a business center, a breakfast bar, and plenty of other on-site amenities. 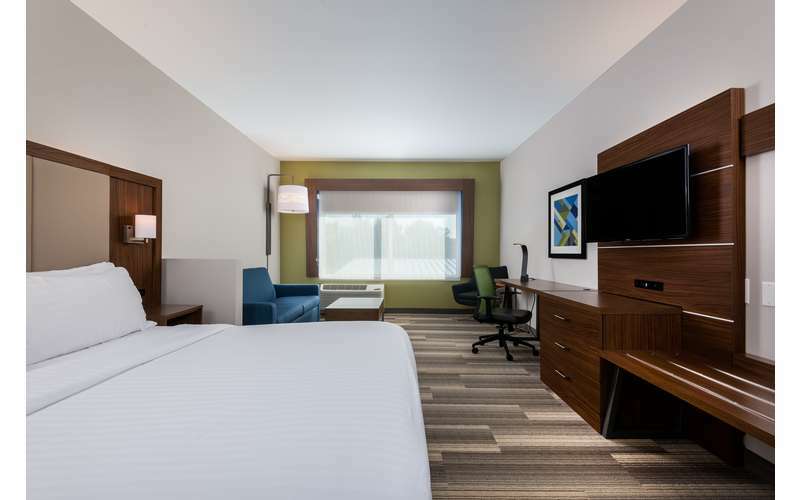 Each guest room is flexible and allows you to work, read, snack, and relax in complete comfort. 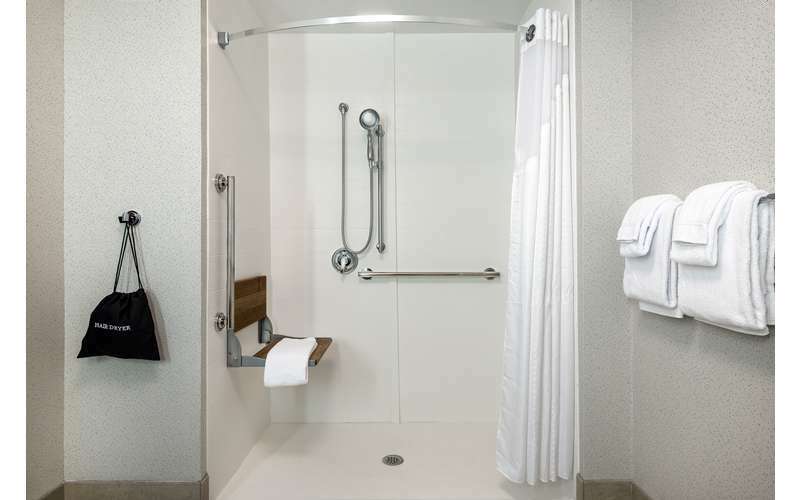 Sleep with premium bedding and custom (firm or soft) pillows, and then wake up with brand name bath products, a deluxe massage shower head, and gourmet coffee from your personal Keurig. 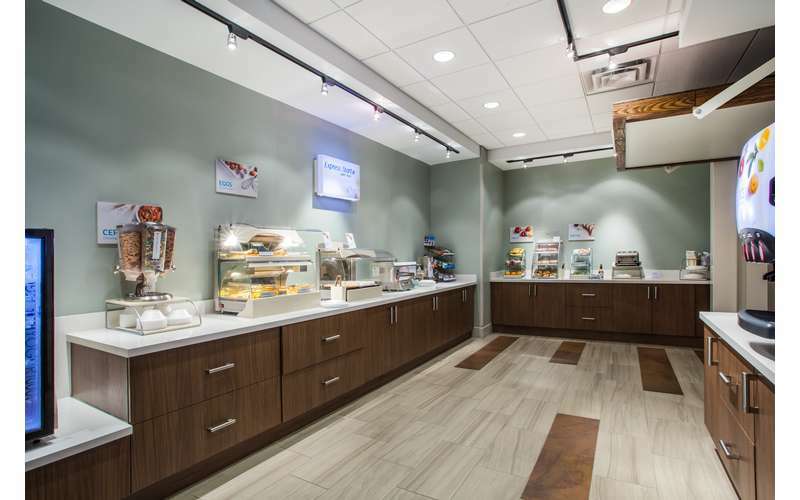 One of the highlights of your stay will be the Express Start Breakfast, which is served daily. 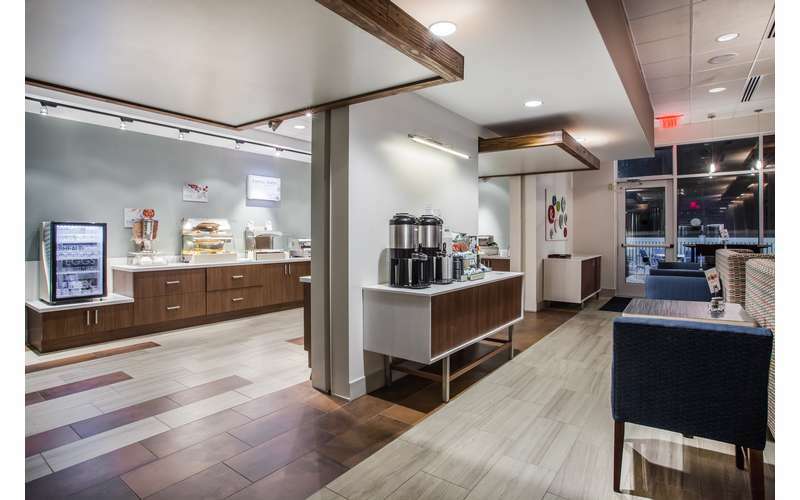 Head over to the breakfast bar, and you'll find both hearty and healthy favorites, including a one-touch pancake machine, cinnamon rolls, Greek yogurt, fresh fruit, bacon and eggs, and more. 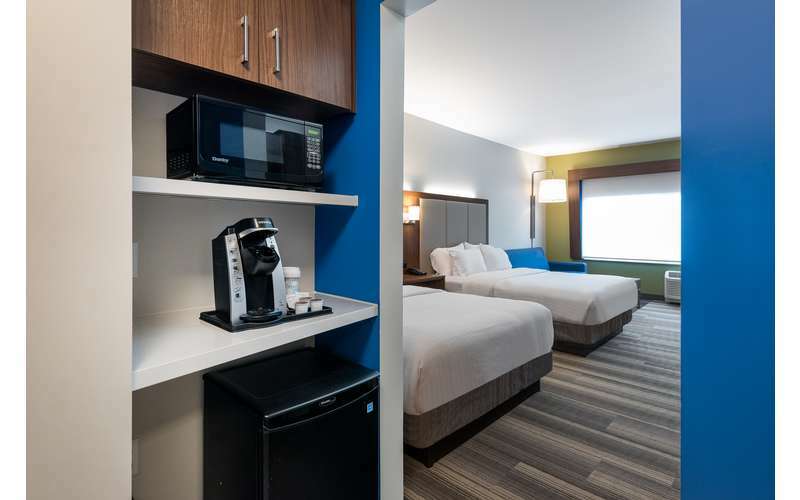 Best of all, breakfast is complimentary for both kids and adults at Holiday Inn Express & Suites, so pick what you'd like and relax in the breakfast area. 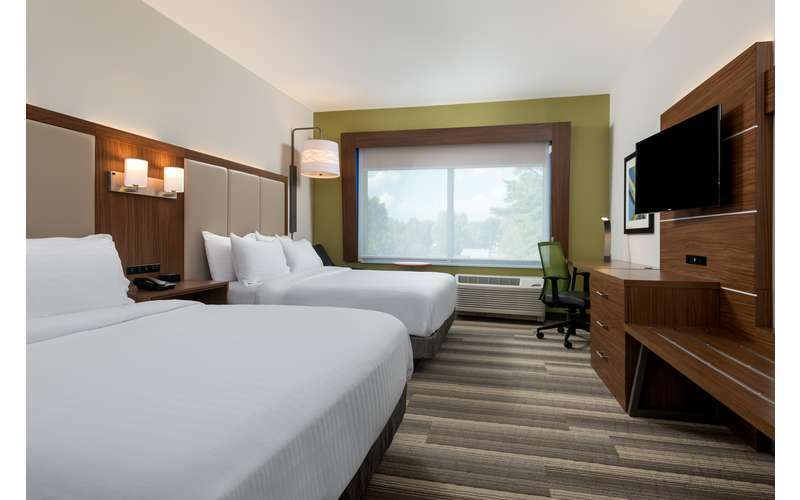 Travelers will love how close the Holiday Inn Express & Suites Queensbury - Lake George is to Glens Falls, Lake George Village, Saratoga Springs, and other local Capital Region hotspots. 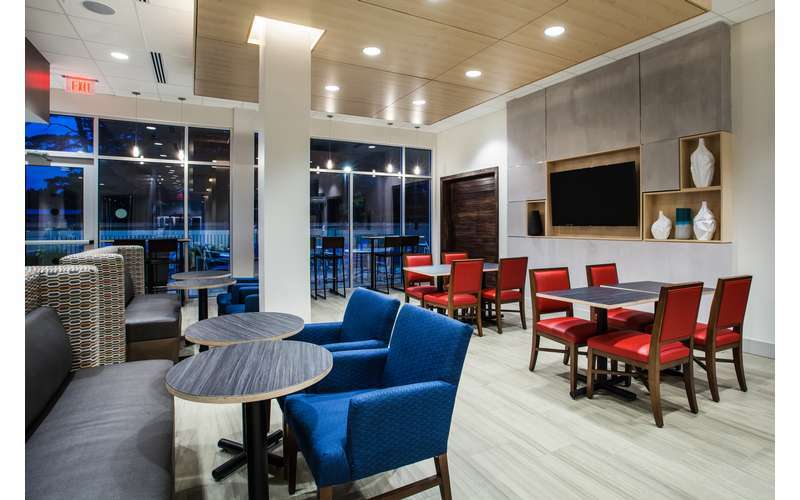 It's the perfect place for business or pleasure. Visit their website for booking information! My husband was the first person in his room. He loved it!!! Very quiet. 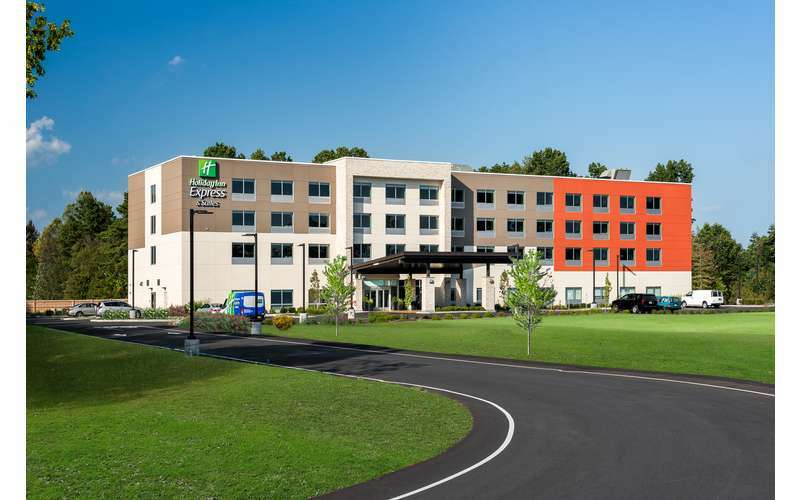 You might have noticed some construction happening recently by Exit 18 – the brand new Holiday Inn Express & Suites Queensbury – Lake George is officially open for business! 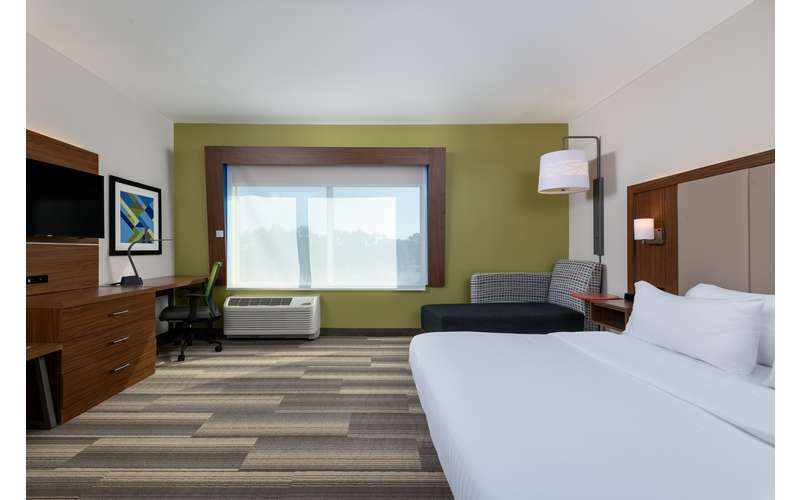 We met with Amanda Berrigan, Director of Sales, who gave us the inside scoop behind the newest hotel in Queensbury.